Chronic mucosal inflammation of the nose and paranasal sinuses is common. 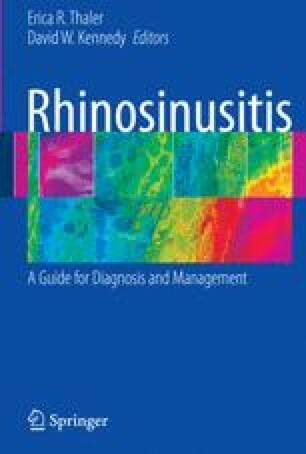 The symptoms of chronic rhinosinusitis (CRS) are thought to affect 16%, or 30 million, Americans in population-based studies [1,2]. While these surveys are questionnaire based and may overdiagnose the condition, even physician-diagnosed incidences are reported as 2% to 4% [3,4], which still represents an enormous disease burden. No solid data have been published on the duration of episodes, whether treated or from natural resolution. CRS affects an increasing proportion of the adult population until the sixth decade, then declines . The quality-of-life impact of the disease, as measured by SF-36 scores, is comparable or worse to other chronic conditions such as chronic obstructive pulmonary disease (COPD), congestive heart failure (CHF), and back pain .